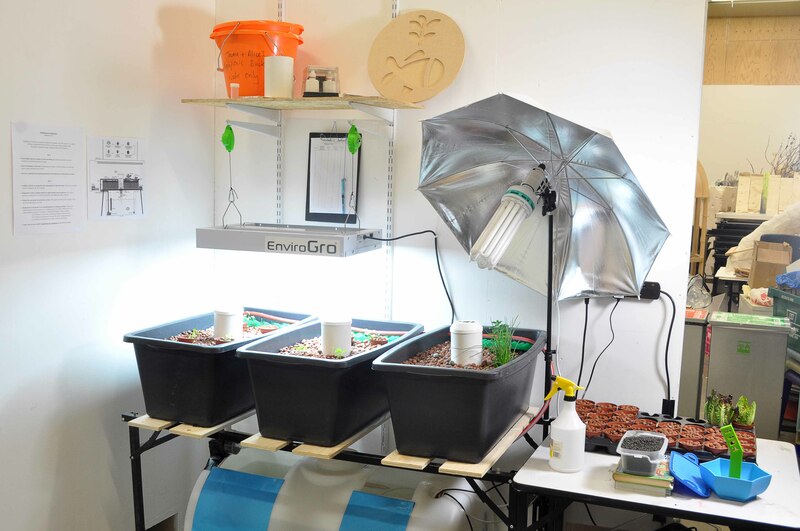 Following on from our last post detailing HOW TO BUILD A SIMPLE AQUAPONICS SYSTEM we thought we would share our current set-up, which offers some variations on the simple build. 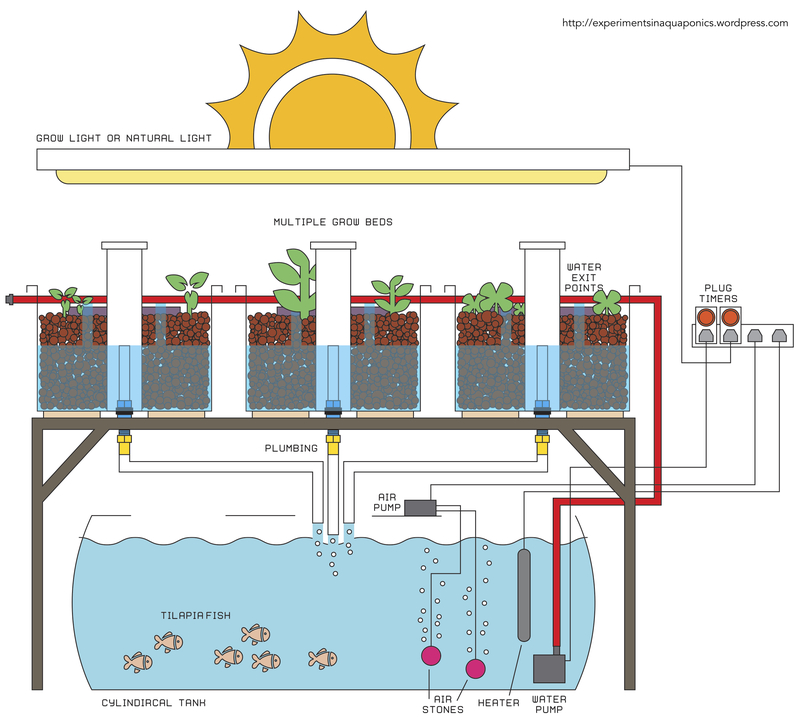 The main difference is the expansion into 3 grow beds, and a large cylindrical tank which is currently home to 17 tilapia. Cylindrical tanks are a great choice as they have fewer ‘dead spots’ than rectangular ones, so the water flows around the full surface of the tank. Pak choi seedlings, planted in bottomless pots for easy transferal and greater stability. There are white mineral deposits on the pebbles which have recently appeared but do no harm. We are planning on adding some new beds (possibly in tower shapes, with the water trickling from top to bottom) in the next few weeks, as we have adequate nutrients to support these and this will only increase as the fish get bigger! They are currently between 2 and 3 inches and have grown about an inch in the last 3 weeks.